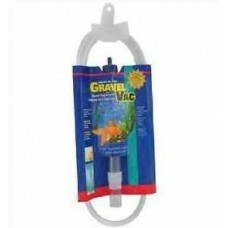 The Aqua Life Stretch Gravel Vacuum from Penn Plax is an easy-to-use, self-starting siphon that allows the home aquarist to clean their aquariums gravel or sand. 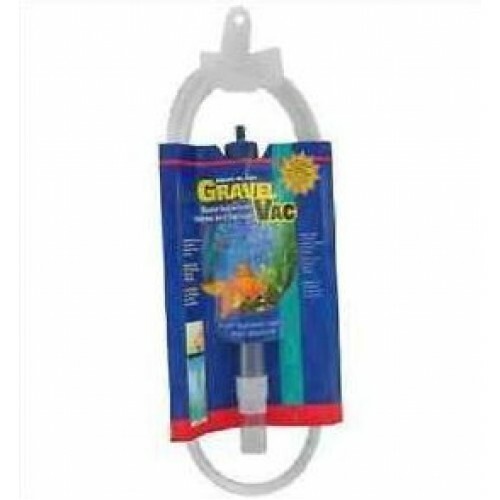 This is especially important in an aquarium, because a gravel and or sand bed can trap decaying organic matter which will break down into toxic nitrates and phosphates. A clean gravel or sand bed will help keep an aquariums water chemistry in-check and ascetically pleasing to the eye. Designed for slow water extraction due to its small hose diameter. Only 1" in diameter to get to the bottom of small tanks.